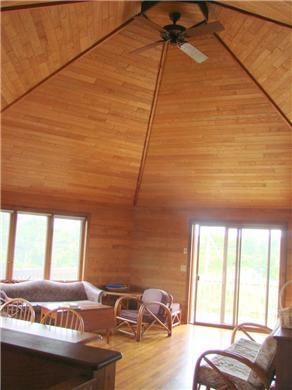 A large and airy hexagonal Great Room with a wood paneled 15 foot cathedral ceiling caps this unique vacation house, and takes up most of the second floor. This ''upside-down'' configuration allows everyone in the kitchen, living room, and dining rooms to share the beautiful bay views, which can also be seen from the deck and master bedroom. Watch the bay light up as the sun sets behind Provincetown! Then look across this narrow part of the Cape to see the Highland lighthouse (less than 2 miles away on the ocean side) come on as night falls. You can sometimes see whales from the dining room table! On clear days, you can see across the bay to the mainland. 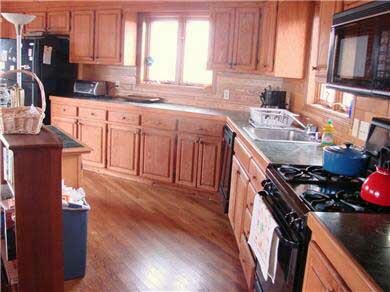 The kitchen is spacious and well equipped, great for preparing big family meals. Since the kitchen is open to the living and dining rooms, the cooks are never cut off from the action. In the great room, a solid oak gate at the top of the stairs keeps small children away from the stairs while parents cook. The second floor deck has a grill and table for a sunset dinner. Walk to Cold Storage Beach - a quiet bay beach with a great low tide that's perfect for small children. Or play in the wilder ocean-side surf on beautiful Coast Guard Beach, only 2 miles away. 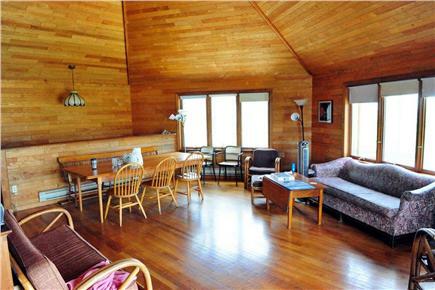 Located in quiet North Truro, but only 15 minutes from downtown Provincetown AND downtown Wellfleet. Additional availability info: Discounts for multiple weeks off season! Start and end dates flexible offseason. This is a Saturday to Saturday vacation rental. Additional pricing info: $400 refundable security deposit; state and local taxes; Offseason rental discount for over a week, State and local taxes of 12.45% will apply. My family and I really enjoyed this comfortable house. Everything was in working order, clean, and the house had plenty of space. The kitchen, dining, and living area had a nice open feel and wonderful views. It was good value for the space and location. After trying many different places on the Cape, my friends and I have returned to this property for three years now, and we just love it. There are five adults and four children in our party, and we fit wonderfully into this home . 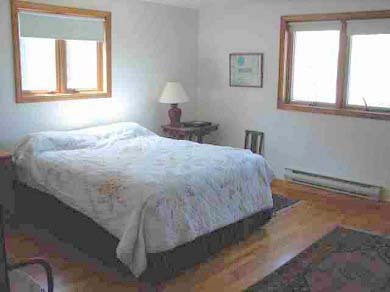 The house offers comfortable furnishings (super comfy master bed) without all of the knick knacks and antiques stuffed into some Cape rentals - perfect for our needs. The great room/balcony is our hang out spot - the kids can play inside, on the balcony, or in the back yard (very safe). The home is on a cul de sac with just a couple of cars going to and from the beach - the little ones ride bikes in front of the house and they can venture further down the road as they get older - we can see them from the balcony. We love to grill or cook meals together in the kitchen and have a glass of wine on the balcony as the sun sets. Our first year, when the kids were younger (2 through 8), we'd spend spend time at Cold Storage Beach on the bayside - shallow water for little swimmers. These days, we head across Route 6 to Coast Guard Beach and Head of the Meadow on the ocean side - a 10 minute drive - some of the most beautiful beaches on the Cape. 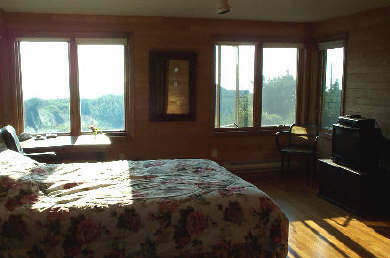 Our stay at this family friendly house was perfect this past August, so much so that we are returning in 2012. The dining table comfortably seats any extended family, and the fresh fish at the nearby Cape Tip Fish and Lobster makes every dinner extraordinary. If cooking is not your thing- there are plenty of wonderful restaurants in Truro, Wellfleet, or nearby Provincetown. One of the best attributes of the house is its easy access to two of the most beautiful beaches in the world. 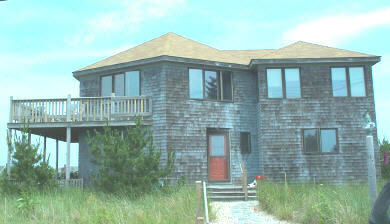 The house provides a choice of a bayside beach that is a short walk away, or without having to go on Rte. 6- a 5-minute drive to "Head of the Meadow Beach;” we have experienced lovely Hawaiian beaches but none compare to this beautiful crescent shaped beach. At low tide it is magical for children and adults. We spotted whales this summer frolicking in the surf, and lots of seals. Another special aspect of the house is its deck- it provides glorious sunsets and cool breezes. My family loves our vacations here. There's nothing better than cooking dinner with family and friends and then sitting on the deck to take in the breeze, the sunset, the stars! Seriously, when we're not at the beach or biking the Province Lands trails, we live on that deck! North Truro is a beautiful area. It's much quieter and more pristine than the western towns on the Cape. We were lucky enough to hear a pack of coyotes howling one night! We also saw lots of seals on the bay and ocean sides this year. 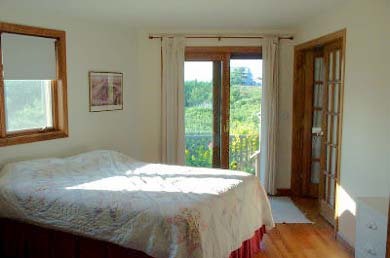 The house is also close to excellent restaurants and night life in P-Town and Wellfleet. We went to Mac's in Wellfleet twice this year -- the oysters and martinis are out of this world! And my parents braved the lines at the new french bakery in Wellfleet. The croissants were divine. "We first saw this house in 2008, when we visited friends who were renting. We loved it so much that we rented it in 2009, and it was perfect. The great room is beautiful, but it's also comfortable and easily accommodated our three- generation family. My toddler granddaughter loved the space, especially the circular track through great room and kitchen, and I loved the sturdy safety gate at the top of the stairs. We'll definitely be back." "We love this house. 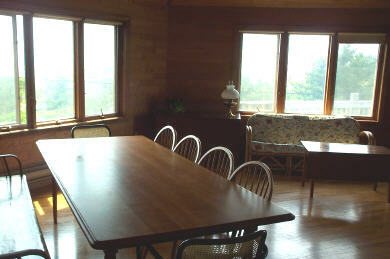 We enjoyed many family vacations here and loved the feel of this open, warm feel of the house. It is clean and well-equipped. 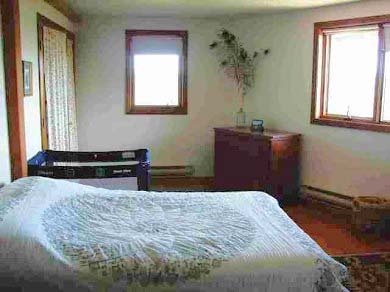 The bedrooms are large with lots of natural light in each. 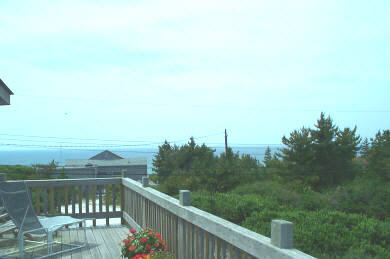 The location is perfect with a spectacular view and easy access to beaches and Provincetown. We loved this house so much that when we went to buy our own Cape Cod home, we compared every house to this one."